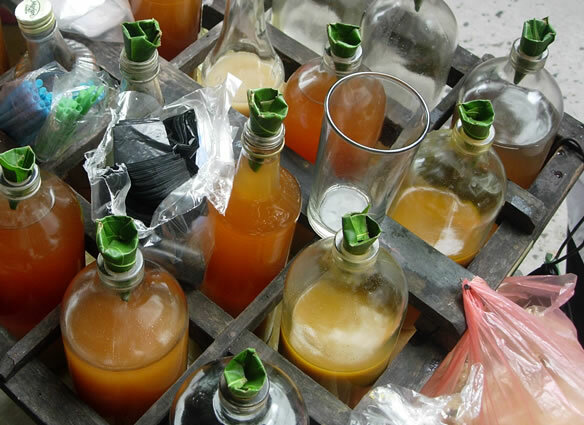 The Enugu Police Command has arrested a herbalist , Adekunle Oseni , who allegedly prepared a concoction for the detection and arrest of thieves , which allegedly killed a 30 - year- old woman. Police Public Relations Officer , Enugu Command , Ebere Amaraizu , in a statement on Saturday in Enugu , said the incident took place at Ugbodogwu area of Trans Ekulu in Enugu city on Friday. He said the woman, Ukoro Onyinye , a resident of Ugbodogwu Trans Ekulu , had taken the concoction which was prepared with a goat’ s heart , to enable her detect and arrest thieves that had persistently broken into her shop . “ From our findings , the deceased met the suspect through a neighbour identified as Alesinloye Nuru , after she ( deceased ) complained of constant burglary of her shop . “ On July 2 , the deceased contacted the suspect who , after listening to her complaint, prepared a concoction which he promised would enable her detect and arrest the thieves . “ In the early hours of July 28 , she ( the deceased ) started vomiting and was rushed to Colliery Hospital , Enugu , where she was confirmed dead , ’’ the statement said .